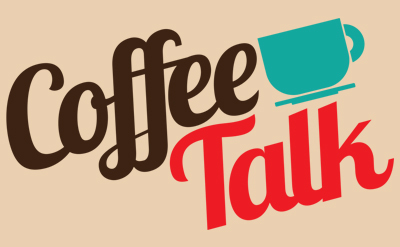 Coffee Talk with Martin Fisher at the SRC – Woodlake: Life on the Lake! SharePinTweet0 SharesThe Napoleon lecture starts in Corsica and ends with his exile in 1815 to the southern mid Atlantic on St Helena after Waterloo finally finished him (Martin Fisher is one of the very few to have been to St Helena – not good, 24 hours was enough). Napoleon grew up in Corsica speaking Corsican and his second language was Italian. Speaking French came later. He was socially very low grade. After the French revolution proved an organizational disaster, he seized the opportunity to rise like a rocket in France as a ‘demi god’ on the back of his incredible 18-0 battle record against Austrians, Italians, and Piedmonts. He ran his record to a ‘never to even come close again’ 31-3 battle record but then four things brought his Empire down. His colossal ego, two British military superstars, and Russia did him in. The lecture is a little bit qualified. He has dual citizenship with two degrees from Cambridge University and a pair of Masters degrees. He has lectured or briefed around 500 times in 20 countries and at 4 Universities and various RVA organizations. He has a love of history from when he spent 10 years learning European History at school and really enjoys bringing a European perspective to a US audience. His lectures are noted for their humour and how he involves the audience Light snacks and coffee This event is free and open to all RSVP to noell@woodlakeonline.com. The Napoleon lecture starts in Corsica and ends with his exile in 1815 to the southern mid Atlantic on St Helena after Waterloo finally finished him (Martin Fisher is one of the very few to have been to St Helena – not good, 24 hours was enough). Napoleon grew up in Corsica speaking Corsican and his second language was Italian. Speaking French came later. He was socially very low grade. After the French revolution proved an organizational disaster, he seized the opportunity to rise like a rocket in France as a ‘demi god’ on the back of his incredible 18-0 battle record against Austrians, Italians, and Piedmonts. He ran his record to a ‘never to even come close again’ 31-3 battle record but then four things brought his Empire down. His colossal ego, two British military superstars, and Russia did him in. The lecture is a little bit qualified. He has dual citizenship with two degrees from Cambridge University and a pair of Masters degrees. He has lectured or briefed around 500 times in 20 countries and at 4 Universities and various RVA organizations. He has a love of history from when he spent 10 years learning European History at school and really enjoys bringing a European perspective to a US audience. His lectures are noted for their humour and how he involves the audience Light snacks and coffee This event is free and open to all RSVP to noell@woodlakeonline.com.